This week's Buyer's Guide includes some deals on the brand new 2014 Retina MacBook Pros, as vendors attempt to draw in customers with lower prices. Many retailers also continue to offer discounts on the previous-generation 2013 Retina MacBook Pros to clear out stock, and we've also got some deals on the 11-inch 2014 MacBook Air, several apps, and an array of Apple accessories. There are no significant deals on iMacs or iPads this week, but prices tend to fluctuate on a week-to-week basis so make sure to check back next week for any new discounts. Several different retailers are already offering up to $119 off the 2014 Retina MacBook Pros, which were first introduced in late July. The 2.6GHz/8GB/128GB 13-inch Retina MacBook Pro is available from Amazon, Best Buy, B&H Photo and MacMall for $1,234.99, a discount of $64. 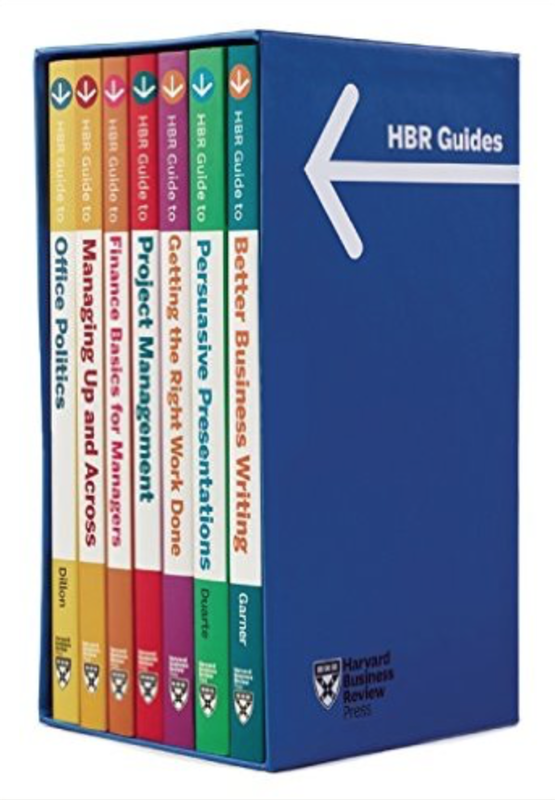 The 2.6GHz/8GB/256GB 13-inch model is available from Amazon, Best Buy, B&H Photo and MacMall for $1,424.99, while the 2.8GHz/8GB/512GB 13-inch version is available for $1,709.99 from Amazon, Best Buy, B&H Photo and MacMall. As for the 15-inch Retina MacBook Pro, the lower end 2.2GHz/16GB/256GB model is available for $1,899.99 from Amazon, Best Buy, B&H Photo and MacMall, while the 2.5GHz/16GB/512GB model is available for $2,374.99 from Amazon, Best Buy, B&H Photo and MacMall, a discount of $119. Steep discounts on the older 2013 Retina MacBook Pros are also available for users looking for a high quality machine at an even lower price. The 2013 13-inch 2.4GHz/4GB/128GB Retina MacBook Pro is available for $1,099 from Amazon, Best Buy, B&H Photo and MacMall. The 13-inch 2.4GHz/8GB/256GB model is available for $1,299.99 from Best Buy, B&H Photo, and MacMall. The 13-inch 2.6GHz/8GB/512GB model is available for $1,599 from Best Buy, B&H Photo, and MacMall. The 2013 2.0GHz/8GB/256GB 15-inch Retina MacBook Pro can be purchased for $1,599 from B&H Photo, the lowest price we've seen on that model yet. Finally, the high end 2013 15-inch 2.3Ghz/16GB/512GB Retina MacBook Pro is available for $2,249 from Amazon, Adorama, B&H Photo and MacMall. The only solid 2014 MacBook Air discount this week comes from Adorama and B&H Photo, with both sites offering the entry-level 2014 11-inch 1.4GHz/4GB/128GB MacBook Air for $799, a discount of $100. The older 2013 MacBook Airs are still available at low prices from some vendors. The higher-end 11-inch 1.3GHz/4GB/256GB MacBook Air is available for $939 from B&H Photo, while the lower-end 11-inch 1.3Ghz/4GB/128GB MacBook air is available for $779 from B&H Photo. 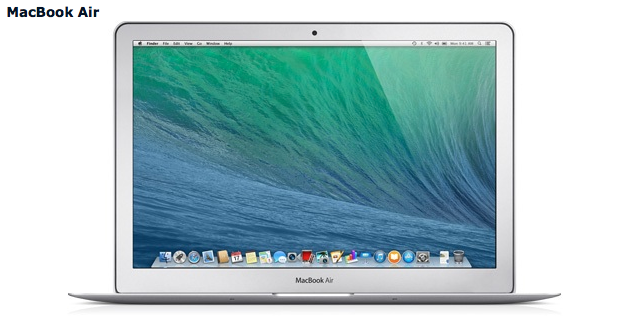 The 1.3GHz/4GB/256GB 13-inch MacBook Air can also be purchased for $949 from B&H Photo. 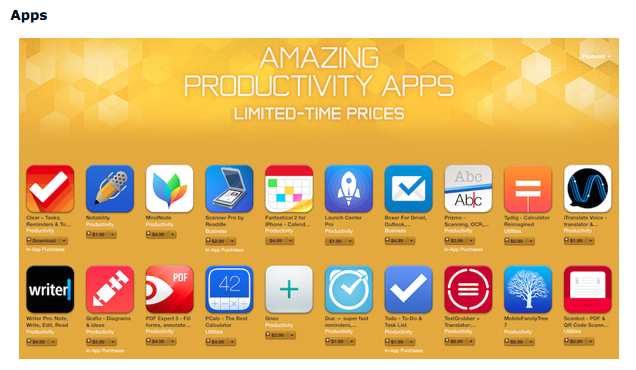 Apple's currently running a promotion on 20 different productivity apps in the iOS App Store, dropping the prices by as much as 50 percent on popular apps like Clear, Fantastical 2 for iPhone and iPad, Notability, Launch Center Pro, and Scanner Pro. Check out our post on the promotion for a full list of discounted apps, complete with App Store links. Target is offering discounted prices on iTunes gift cards sent via email, with a $50 card available for $45 and a $100 card available for $90. Groupon is offering a sizable discount on Microsoft Office Home and Student 2011 for Mac, offering it for $99, $40 off the standard price. 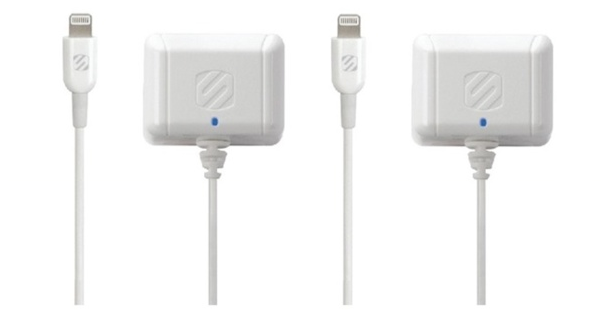 A two-pack of Scosche StrikeBASE Wall Chargers for Lightning Devices can be purchased through Woot for $19.99, and the site is also selling a two-pack of the Belkin USB Wall Charger with Rotating Prongs for $14.99. The Jawbone Jambox Bluetooth speaker is available at the discounted price of $89 from Living Social, $60 off the original price. Groupon is offering the Incase Hard-Shell case for the 11 and 13-inch MacBook Air for just $12.99, a discount of $37. Apple-branded Earpods are available for $15 from DailySteals, while the 5W USB Power Adapter plus Lightning cable can be purchased from DailySteals for $18. Before making a purchase of a Mac or iOS device, make sure to consult our Buyer's Guide to find out if it's a good time to buy. For example, because the Retina MacBook Pro was updated in July, the Buyer's Guide indicates that now is a good time to purchase.